In this heavily electronic and technology-focused age, an Angie Wood Creations watch harks back to a simpler time when fashion and style were as evident as the hat upon your head. 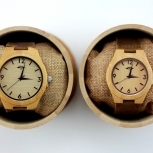 As bamboo is a naturally organic and renewable product, and makes an attractive wooden watch option, you can't go wrong. 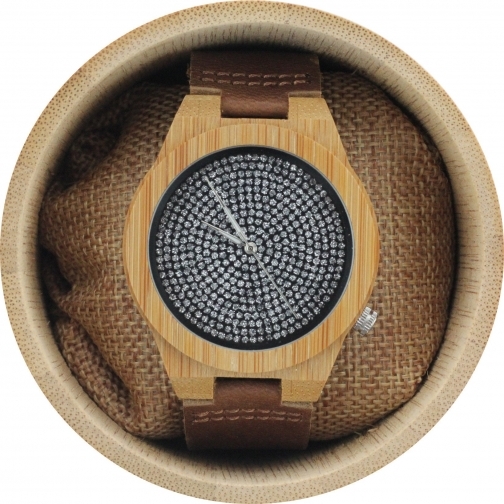 The fashion-conscious Bamboo Men's Watch is particularly eye-catching due to the crystal patterned dial and complementary light bamboo finish. 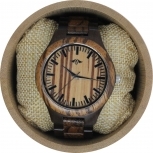 The genuine leather strap and buckle clasp complements the bamboo wood beautifully, providing a wonderful contrast to the sparkle of the crystals and the silver hands. EMBELLISHED DIAL: The embellished dial with intricately placed crystals will attract attention for all the right reasons. This watch has a personality of its own and is not afraid to dazzle in a crowd. The minimalist design of the face ensures it does not overcrowd the finished look of this spectacular timepiece. 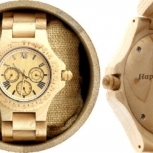 CUTTING EDGE FASHION CHOICE: While they may not be as popular as traditional metal watches (yet), purchasing a wooden watch remains a cutting-edge fashion choice. 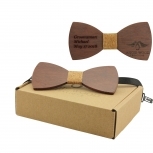 We pride ourselves on our pioneering efforts and offer unique and handsome gift giving options. Comments will follow wherever your watch may lead. 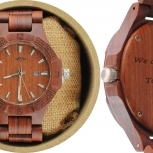 ALL OCCASION GIFT GIVING: A wooden watch makes a versatile gift wherever in the world you are. Our watches have been purchased as 21st gifts, thank you gifts, Christmas gifts and even anniversary gifts for men of all shapes and sizes. . 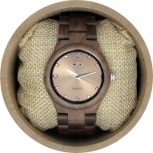 If you love natural and nature-inspired products, then this bamboo watch is definitely the smart choice for you.